MaryAnn (Humphrey) Jackson,78, of Munhall, died peacefully on Friday, March 22, 2019, in U.P.M.C. East, Monroeville. Born on July 20, 1940, in Braddock, she was the daughter of the late Nathanael Moore and Katie (Byrd) Humphrey. She was a faithful member of Union Baptist Church, Swissvale. Mrs. Jackson was a retired Social Worker for the Allegheny County Health Department. 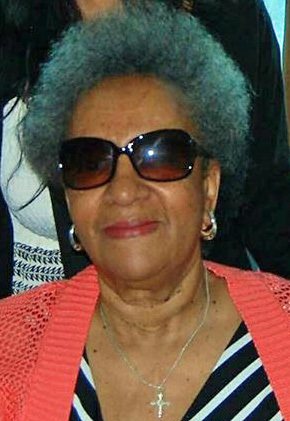 She is survived by a Daughter, Debra Humphrey; three sons, Arthur E. Jackson, Andre Acie, and Michael Acie; a brother, Wayman Humphrey; seven grandchildren and two great grandchildren. she was preceded in death by five brothers and two sisters, Alphonso Humphrey, Harrold Humphrey, Nathanael Moore, Jack Moore, Moses Moore, Dolores Tabb and Katherine Moore. Family and friends will be received on Thursday, March 28, 2019, in the Union Baptist Church, 2117 Collingwood Avenue, Swissvale, PA. 15218, from 10 A.M. until time of Service at 12 Noon with Pastor Jackie Lewis officiating. Burial will follow in Penn - Lincoln Memorial Park, North Huntingdon. All arrangements are entrusted to the William S. Skovranko Memorial Home, Inc., Duquesne.